Okay, let me take just one second to ask the obvious: How are we already a week into February? How are we already 6 weeks into 2019? Didn’t the year only just start? Didn’t February only just start?? Time’s flying lately. I’m not sure I can approve of this. Also, I’ve got Tijan and Tara Sivec for you this week, and you don’t even need KU to pick them up on a super cheap deal! 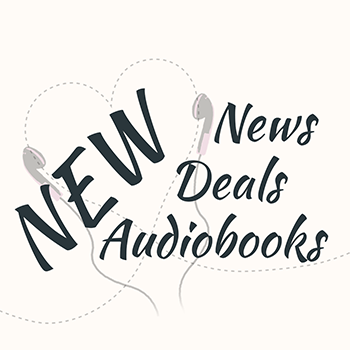 There’s also lots of new free stuff in the Unlimited audiobooks subscriptions and a new JA Huss. I’ve been feeling a bit under the weather this week… or more accurately, I’ve been feeling under the new medication I got for my Hashimoto’s. So my posting schedule was a bit off because my ability to focus could best be compared to that of applesauce. Although, the reason why I didn’t have a RecomMondaytion this week was really that none of the new releases made me excited enough to recommend one of them in this feature. I want it to be something special so you can be sure that the audiobooks I tell you about on Mondays are really worth your credit. 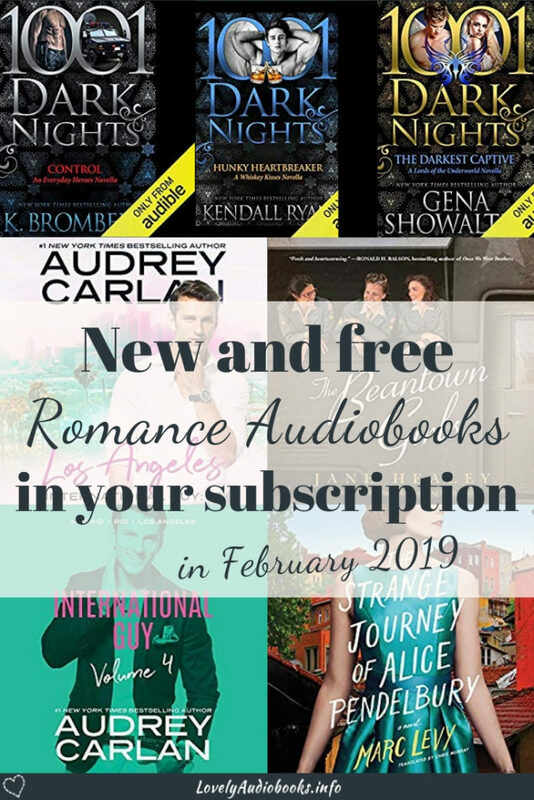 On Sunday I was still on track with my posting schedule and this was a very important article indeed: My very favorite books in the Audible Romance Package. The ones you should listen to first when getting a subscription. The ones that I think are all absolute must-reads for any romance reader. It also started a great thread in our Facebook group with many of you posting your own must-reads from the Romance Package. On Tuesday I wrote an ARC review for Spark by S.L. Scott. I didn’t quite fall in love with this book, but I think single-dad romance fans will enjoy it. Little side-note, in case you missed this before, receiving free (audio)book copies in exchange for honest reviews is not a privilege of bloggers. Audible and Goodreads reviews are very valuable to authors as well. Check out this post and see if this is something for you! Now, on Wednesday the whole health mess really caught up with me and I didn’t manage to finish my post. But it went out on Thursday and I think I’m back on track now. This is also an ARC review, but for an entire series. And this one I absolutely love and wholeheartedly recommend! It’s the Daughter of Winter series by Skye MacKinnon. It’s a Fantasy Reverse Harem Romance (so, one woman and several men) and it’s so, soo good! Check out my spoiler-free review, please. This is really worth some credits. But you can also get the Whispersync deals. I’m currently listening to The Wolf Diaries** because I wanted to check out some of the lesbian romances in the Romance Package. And frankly, I picked this one because the cover is just so damn hot! The narration is absolutely wonderful and it’s a really cute and entertaining story so far. The ebook is just $0.99 if you don’t have KU! Whether or not you have an Unlimited audiobooks subscription, I hope you found something great to listen to next.